Requirements: We offer rental and chartered services with the X-30 at all lakes and reservoirs in Utah, Arizona, California, Nevada, Idaho, Wyoming and Colorado. 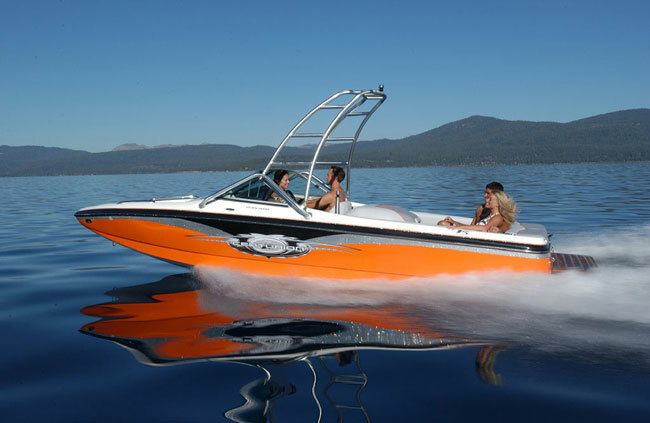 Rental on your own will require 1 hour on the water instruction from one of our professionals and considerable time opperating a competition wakeboard / waterski boat. We are located in Salt Lake city, Utah, but service a wide area. Prices depend on location and duration of rental or charter service. Call or contact us to get specific pricing. THERE IS A DELIVERY FEE OF 0.71 CENTS PER MILE OUTSIDE OF UTAH. DELIVERY INSIDE OF UTAH IS $1.10 PER MILE. ANY RENTAL OR CHARTER OUTSIDE UTAH IS A MINUMMUM 3 DAYS.